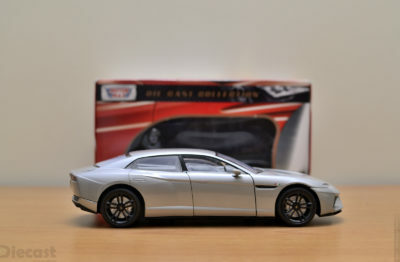 Diecast collection of Movie cars is like getting a piece of action home! Yes, how that be full if the scene or diorama lack the primary character! 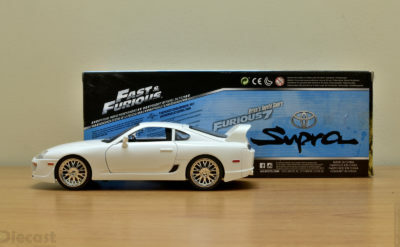 Fast and Furious franchise is one of the most followed movie series even if you are remotely connected to car and car based action movies. 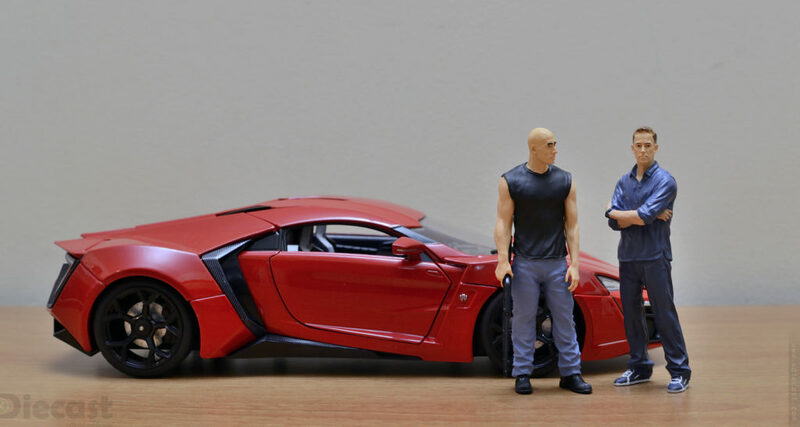 I just love them and got two of my favorite movie car(Brian’s Nissan GT-R and Lykan Hypersport) that Jada recently released. 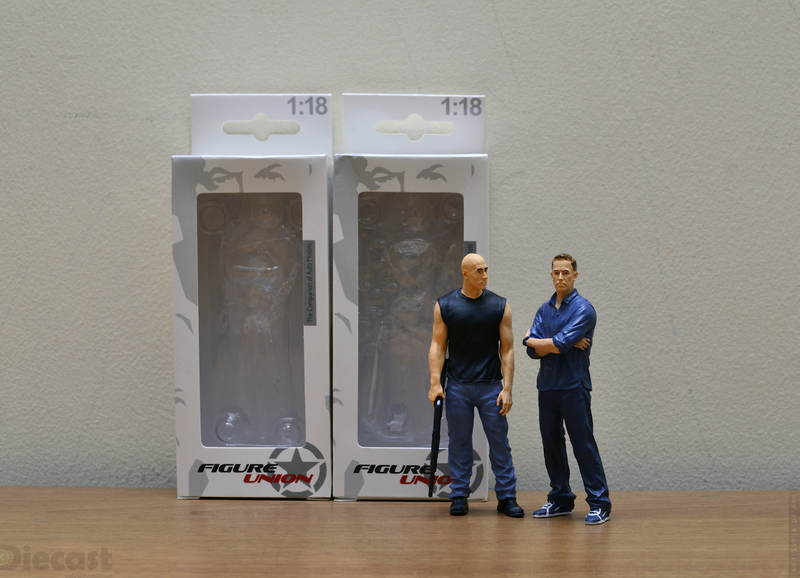 So I was feeling like that these special diecast cars needed a bit more in the display… So came these figurines of Dominic “Dom” Toretto(Vin Diesel) and Brian O’Conner(Paul Walker) came in. I purchased these figurines from megamo.hk after doing research for quite some time! 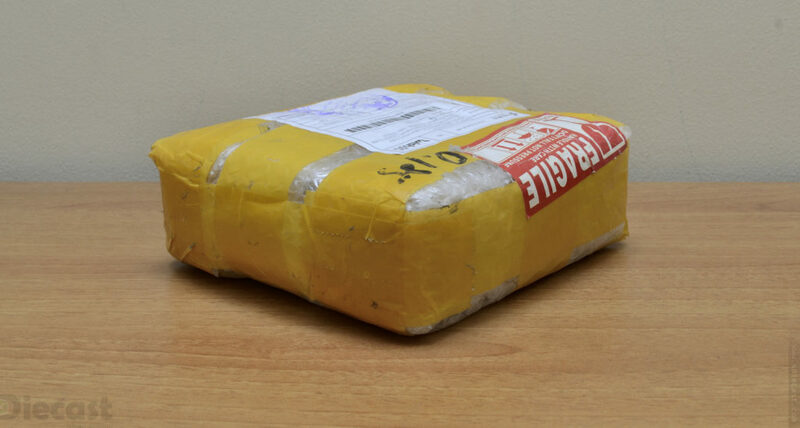 I even got free shipping from Hong Kong to India! 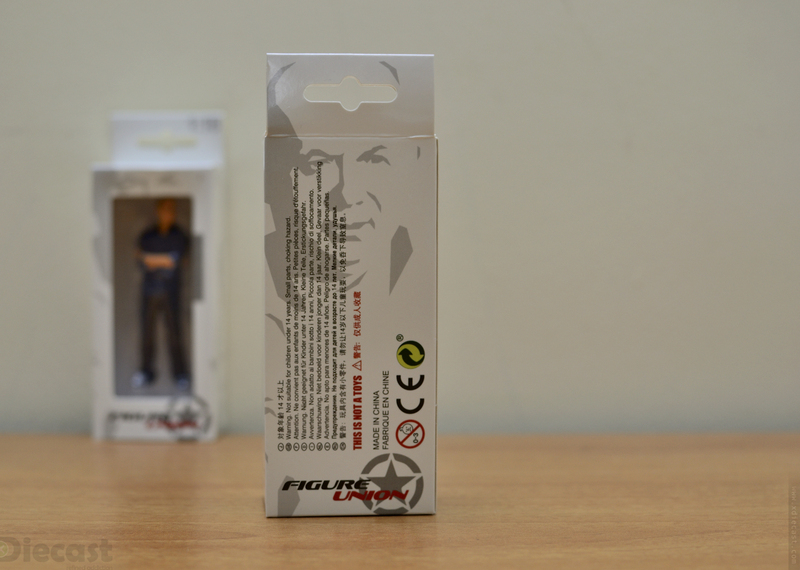 The package is relatively simple yet very very effective to give all the protection that these figurines need. The inner cardboard box gives a bit more security. Both the boxes look identical! 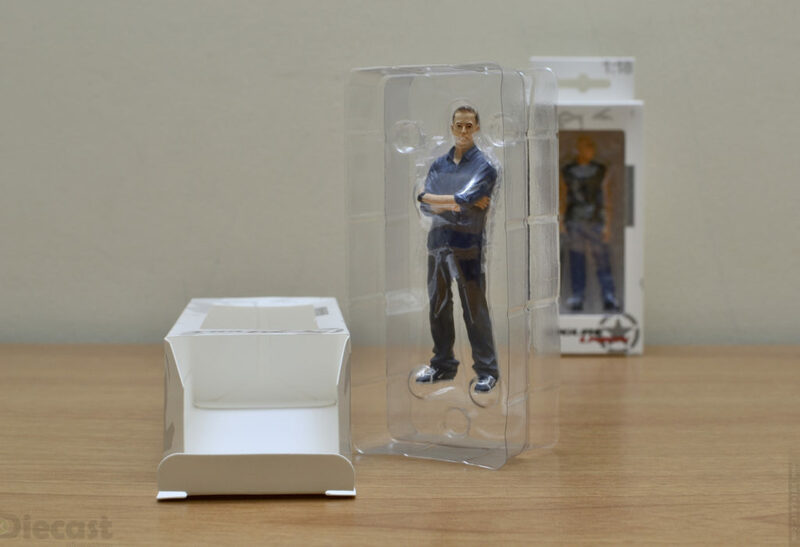 Yes both the boxes has the silhouette of Dom on its side and back, which is not bad but we would love to have Brian’s figurine box to have his own silhouette! 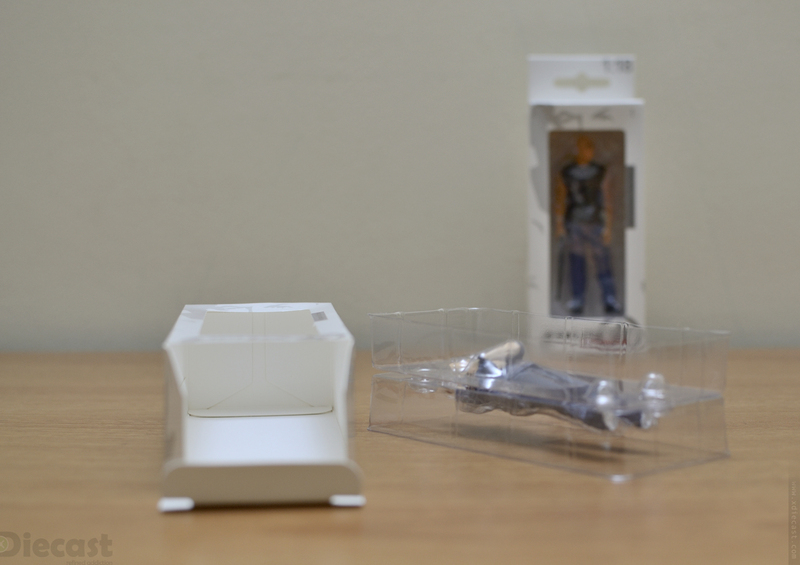 The boxes look relatively classy, thanks to its simple execution and lack of too many graphics! 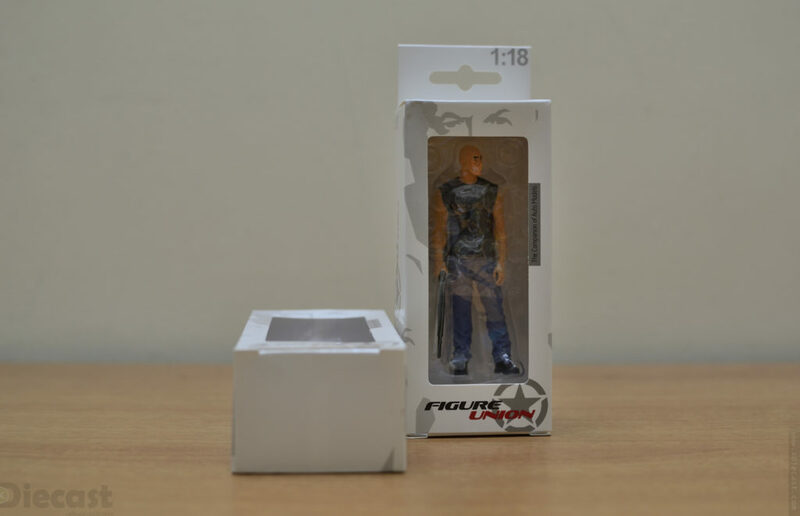 The front of the boxes houses an almost full size window and a subtle 1:18 inscription. The “Figure Union” badge look dominant and executed nicely. The rear of the boxes has some statutory information and icon. 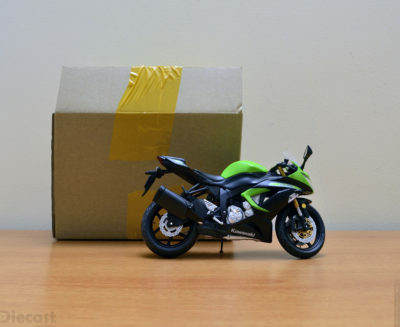 What really got my attention is the red captioned “THIS IS NOT A TOY” in both English and Chinese, which means business! 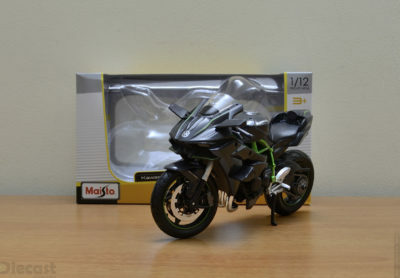 Unboxing is a super simple procedure that I love with unboxing a Maisto 1:12 Bike model. Yes the procedure is identical and can be excused in few seconds. Lets see… 1. Open the slid, 2. Pull the transparent jacket out, 3. 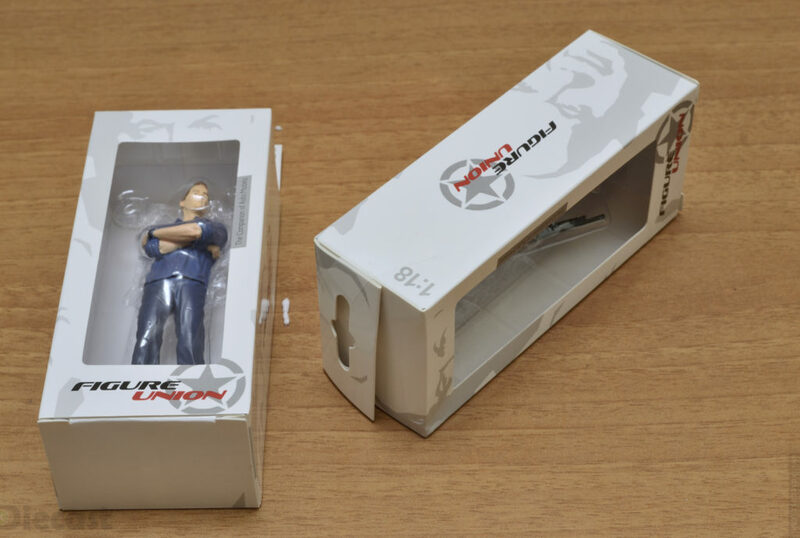 Unleash the figurine to this world. As mentioned above, both the packages are identical but the inner transparent jacket that holds the figurines are different. This may be due to the fact that the size and the postures are different. 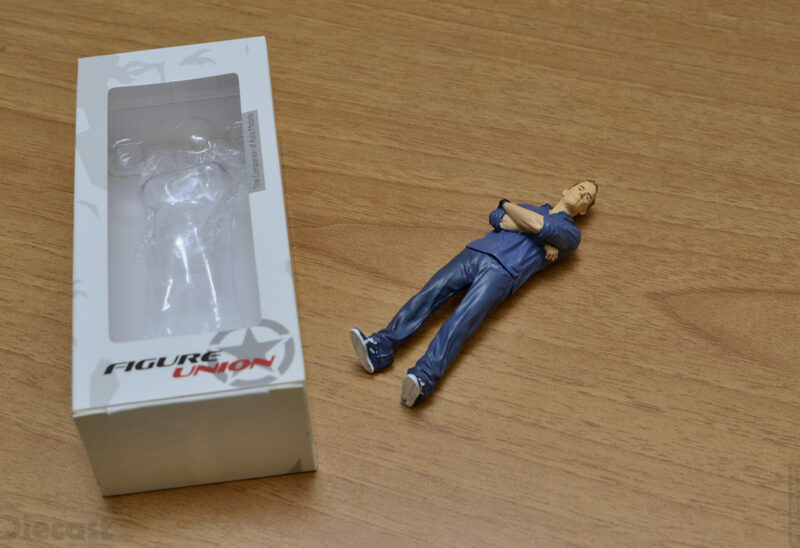 Yes the figurine is also double protected by a small piece of bubble wrap, which further avoids scratches while in transit. 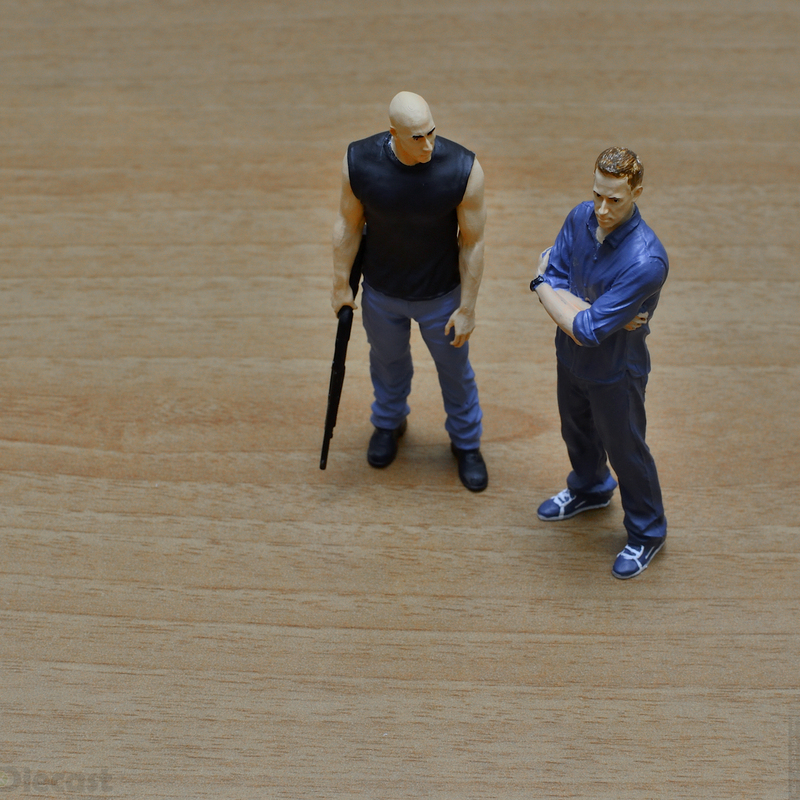 Once these two figurines are they show maximum attitude! 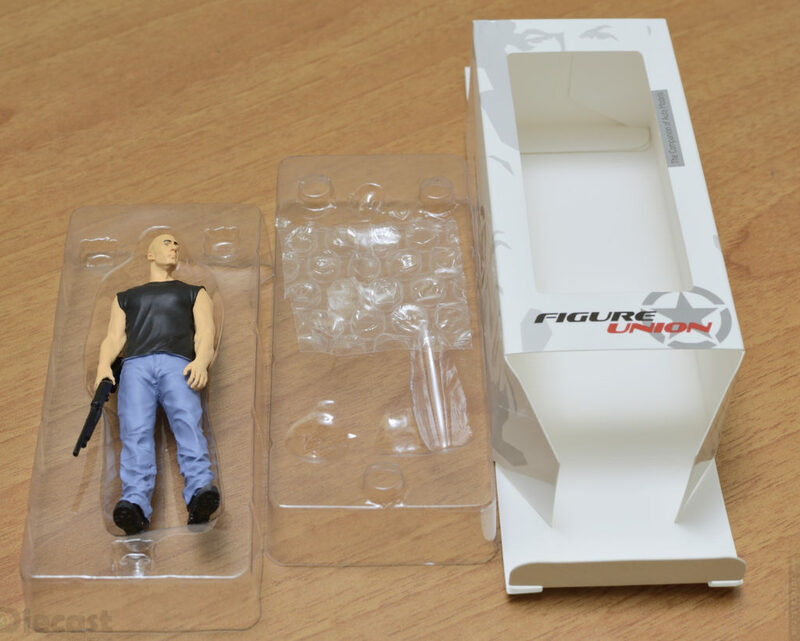 Dominic “Dom” Toretto figurine shows brut muscle power enhanced by that sleeveless shirt and shotgun in his right hand. Blue jean and black boot gets further buchness! Brian O’Conner comes out as lively as possible. His carefree/cool posture gives this figure that wow factor. I also love his shoes. 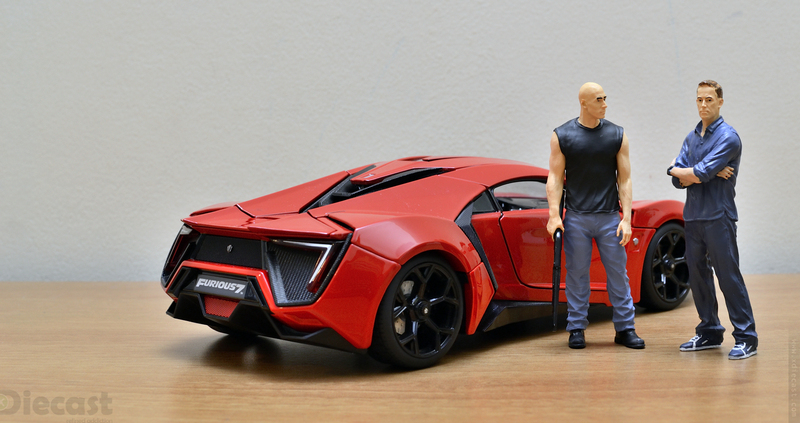 How could this unboxing be complete without doing some size comparison… Lets get our Furious 7 famed Lykan HyperSport by Jada Toys to give that backdraft that brings relevance to the movie. 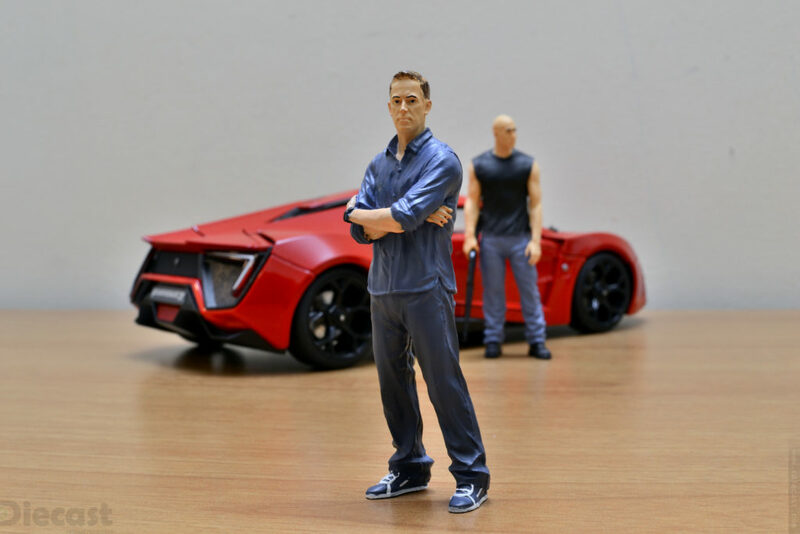 The scaling looks ok and seems like they are accurate in contrast to the Lykan. Unlike most of the movie fan I like Brian/Paul Walker more than Dom/Vin Diesel!! Maybe because Dom like Muscle Cars and Brian like Quick Imports… Yes I like Sports car as oppose to Muscle so its just natural! 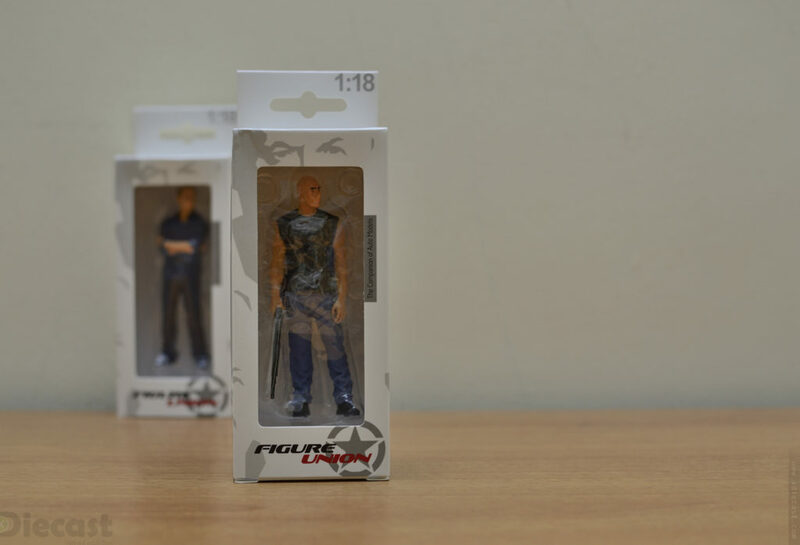 But in the case of these figurines most would say that Brian look much better! 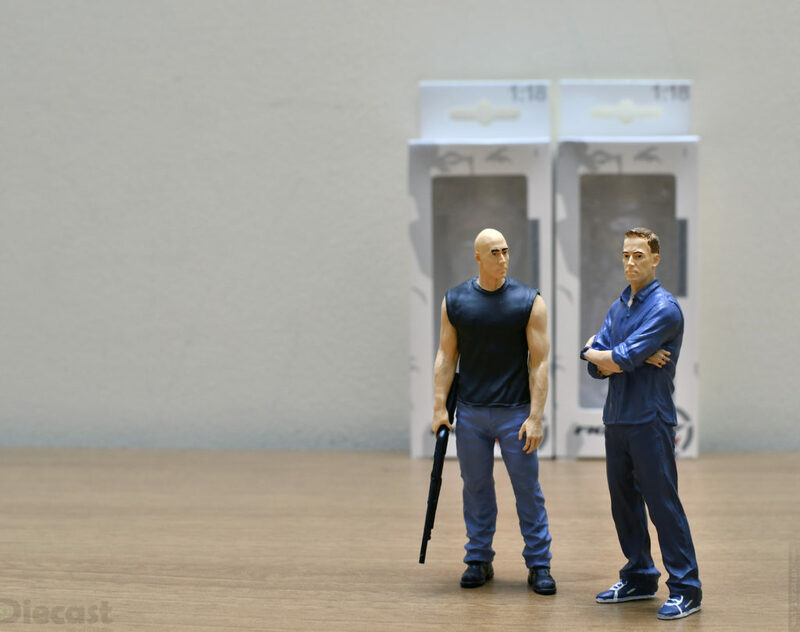 Yes Dom figurine look a little off scale in comparison to Brian! The Muscle that Dom is know for is sort of missed! Both these models are real jems. Wait for my full review to know what they come out with when put under magnifying glasses and roaster! 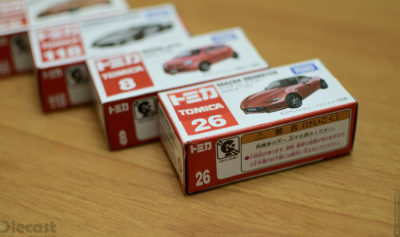 That is coming sooner are usual because of the excitement that these figurine and the model car they are going to grace. Till then hold your horses and stay tuned… Ciao. Lamborghini Estoque is a four door coupe concept that Lamborghini showed off in 2008. 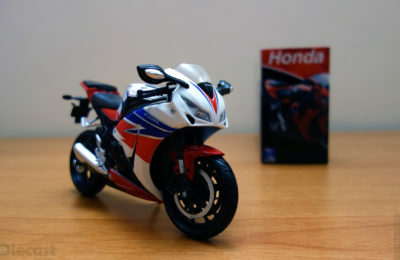 But it took a little too long to hit my collection in 1:18 scale diecast form. Finally its time to unbox this amazing package and release this Estoque into Real life and see how it goes.